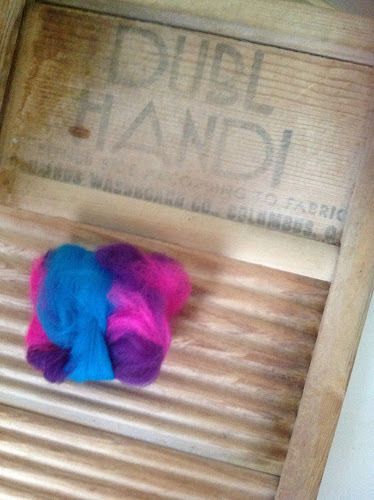 I have been on a binge with new crafting ideas (inspired by my sewing /knitting room which is coming along nicely). 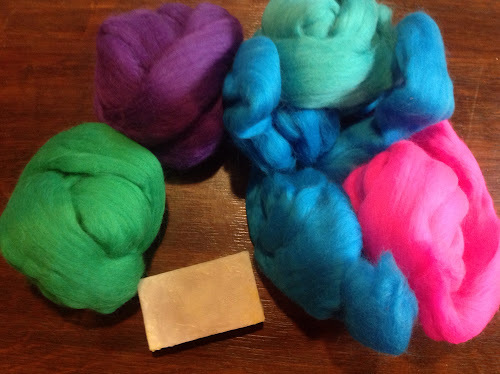 My latest trials were making soap with felted wool around it. Easy peazy. 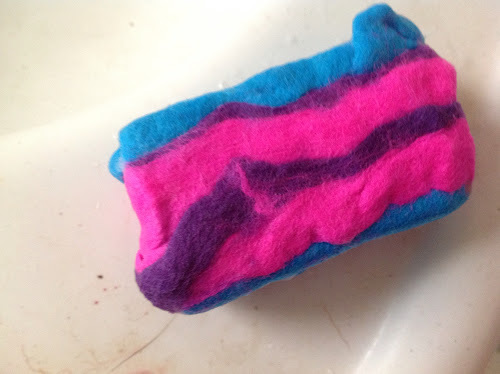 First find a nice bar of soap, I used some handcrafted ones, and some colorful roving. Note it cannot be Superwash, and must be wool to felt properly. Next wrap the soap tightly with some of the roving in one direction, not too thick, not too thin but making sure to overlap the edges. 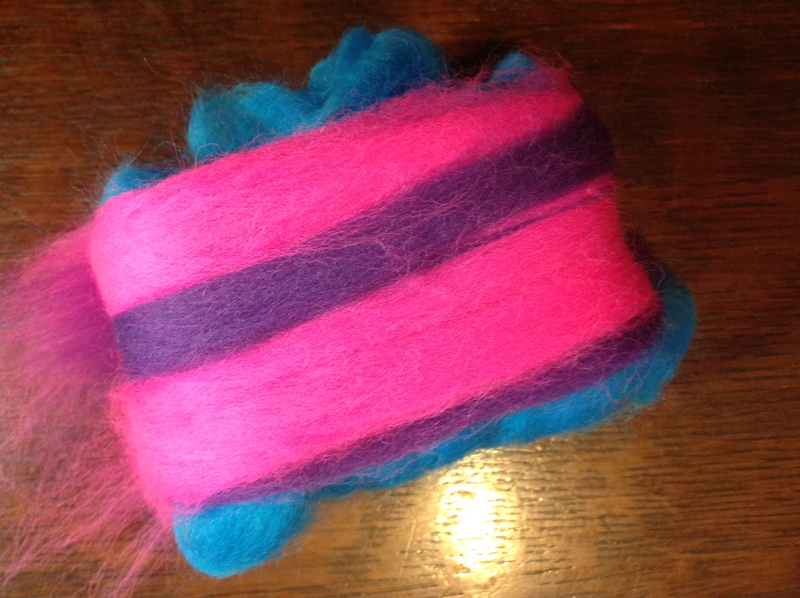 Using as many or few colors as you would like, wrap the other way around (i.e. turn the bar 90 degrees and wrap). 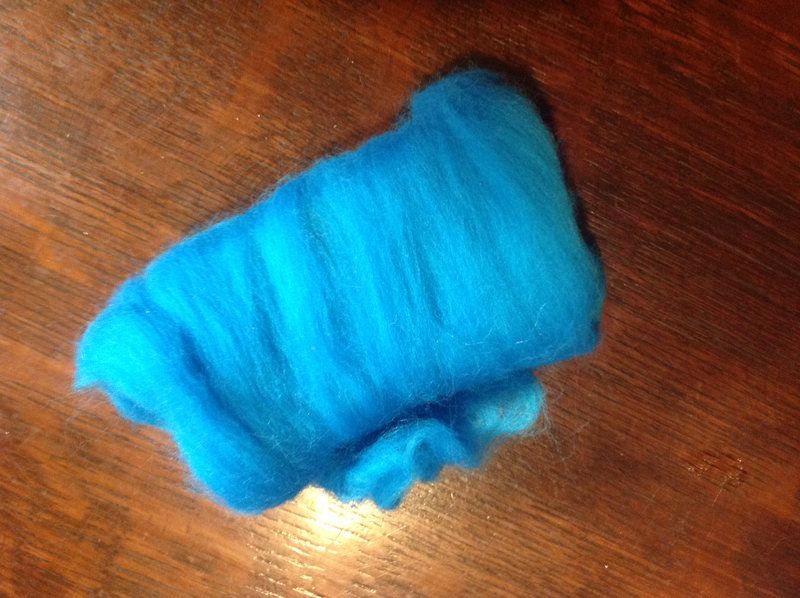 The first time I tried instructions which stated to hold the roving firmly, have hot and cold water drizzling, add a bit of hot water and some soap. Rub vigorously with the finger on your other non-holding hand, and it will start to felt. Alternate between hot and cold water sparingly and rotate around the bar. Squeeze out the excess water and set to dry. Then I tried an alternate method. Wrap in the same manner, but put the roving wrapped soap bar inside a nylon, and I used my Grandmother's washboard. This is an all wooden one from WWII that she had, note the V for Victory, not using any metal. My dad was flying over Germany when she washed her clothes on this. I can only imagine the fear and anxiety with which she scrubbed her clothes. It is worn and well used. 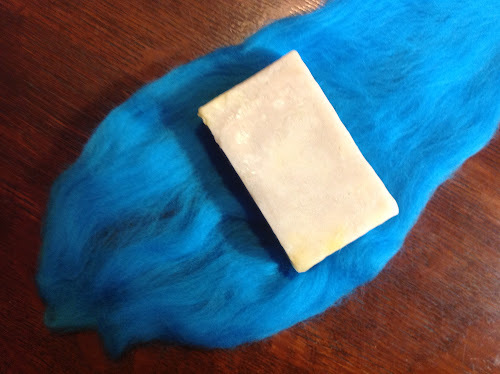 Just scrub vigorously under a bit of hot water with soap for agitation, rotating the bar around. Squeeze out the excess and set out to dry. These are my first few trials, Sofia is being my product tester. I hadn’t seen the washboard version before. 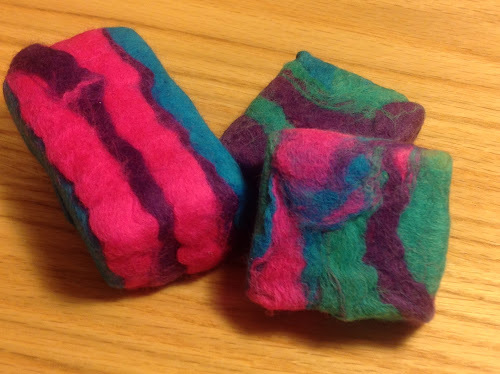 I love felted soaps!